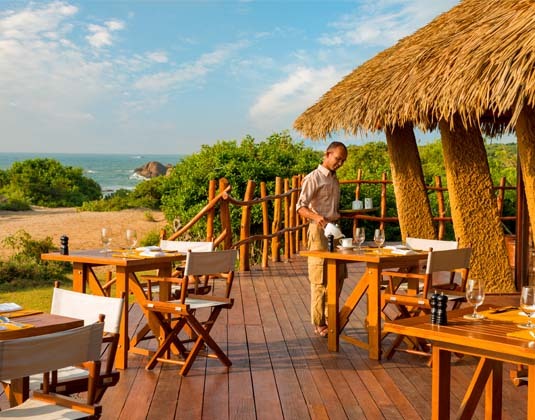 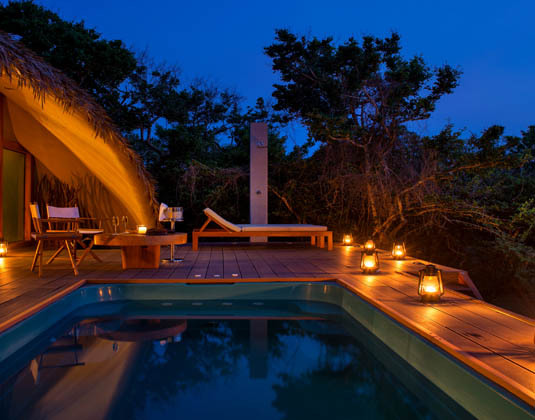 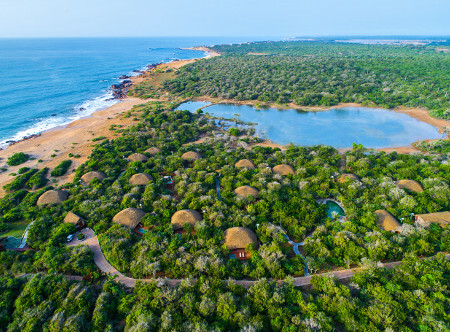 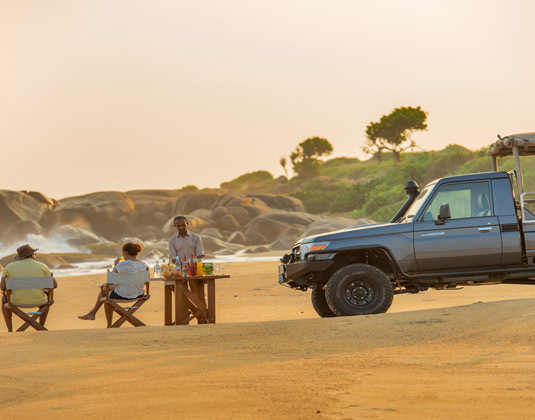 Surrounded by wilderness at the ocean's edge, Chena Huts overlooks a beach where turtles lay their eggs and elephants wander down from the nearby jungle. 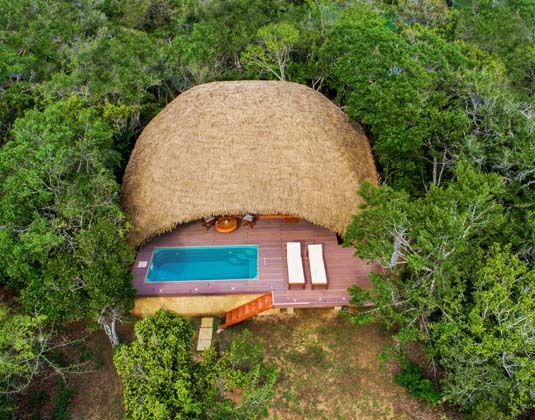 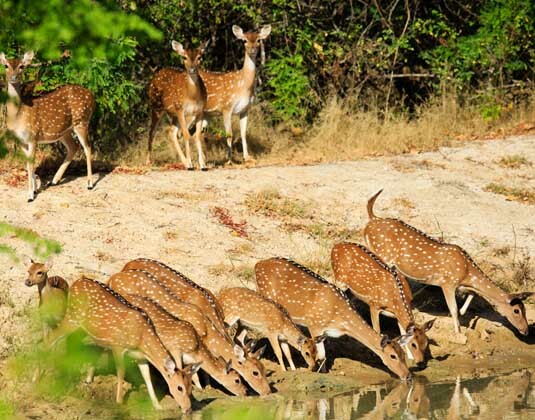 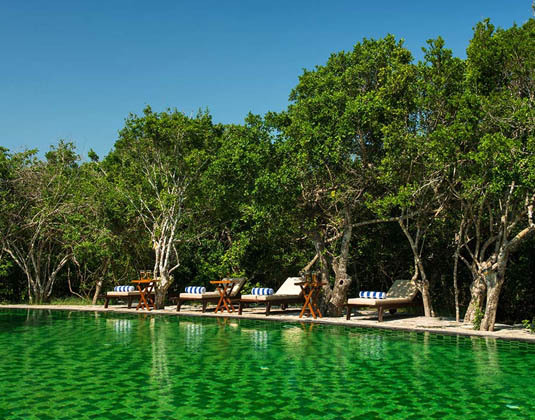 Just a few minutes drive from Yala National Park entrance, it's a perfect place to get away from it all and watch the magnificent wildlife. 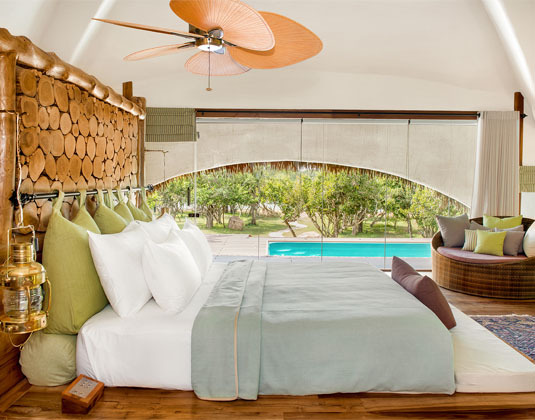 The 'huts' are in fact luxurious detached, pavilions that harmonise with the jungle environment while guests enjoy fine dining at Basses Restaurant, or can opt to dine in private at the beachfront or beside the lagoon. 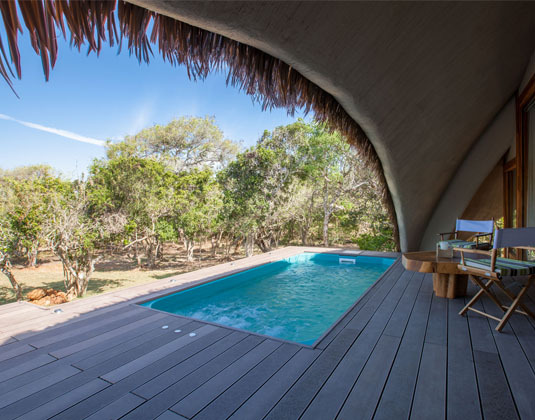 In guest cabins with air-conditioning, bath, living area, mini bar, safe and shaded outdoor deck with private plunge pool. 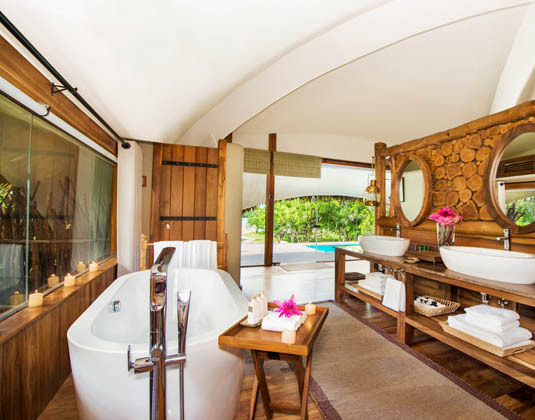 10% cabin discount or US$100 spa credit (per cabin): If you stay at least 3 nights.